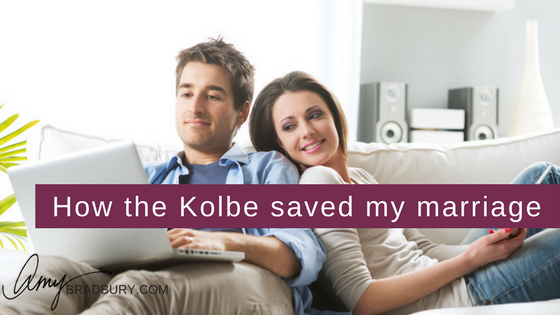 Today I want to tell you a story about how the Kolbe assessment saved my marriage. It’s a funny story – and I bet you can relate! I’m a 6-7-5-2. It explains so perfectly why I’m great at managing programs, and organizing systems. Also explains why I have a hard time working on projects that don’t feel like they have a plan. Based on this profile, my guess is that coming up with strategies is not my strong point, but I’m especially talented when it comes to planning for a specific strategy. I always tell people, don’t ask me for the idea–give me an idea and I’ll make it better. Ah, Yes – Lisa. Very interesting! You initiate action first from a system, so in order for you to move forward, you are exactly right, you need to put things into a system and a plan. I love your “give me an idea and I will make it better” that’s so very true – and absolutely one of your strengths!